According to authorities, the hydraulic system failed, subsequently resulting in the crane crashing onto the sidewalk below. The incident prompted the responses of police and emergency medical crews who arrived a short time afterward. The totality of the incident forced the area to be shut down for at least a brief period of time. The cause of this accident is currently under investigation as the operator of the crane was immediately rushed to a local hospital to be treated for at least minor injuries. No further information has been provided at this time. Before moving on, we would first like to extend our warmest sympathies to the injured worker, as we maintain hope for his full recovery at this time. 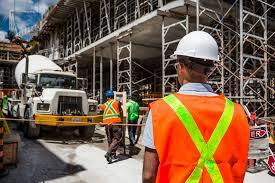 Construction accidents in New York are unfortunately common, especially since most jobs involve seriously heavy materials and powerful machinery. While it is difficult for victims to focus on anything other than their recovery, it is important to understand that you may have significant rights at this time. At Hach & Rose, we are determined to assist the members of our community who have been unfairly injured by the actions of another party or other entity. Many workplace accidents in the field of construction are caused by unsafe property conditions, and it is crucial to realize that you deserve the best representation possible. If you have been hurt in a construction or other workplace accident due to unsafe property or any other party, please call 212-779-0057 today.